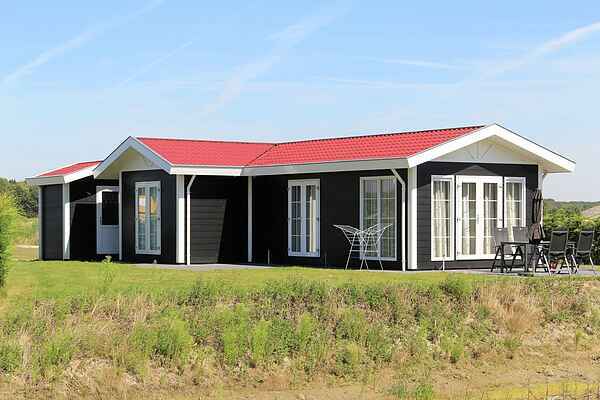 These comfortable detached cottages are located on the banks of the Veerse Meer. These accommodations come in 4 person variants. De Cottage Comfort (NL-4341-06) is the most "simple", but has modern furnishings and has all modern conveniences such as a dishwasher and Wifi. De Cottage Kids (NL-4341-07) is, thanks to its bathtub and Wii in the children's bedroom (no games), very suitable for families with young children. In de Cottage Duo (NL-4341-08) each bedroom has its own bathroom. The most luxurious type is the Cottage Sauna (NL-4341-09) where you naturally have a 2 person sauna. Each cottage has a garden and terrace with garden furniture and all can be on the water.